Of all the recipes I have made lately from this book, this one "takes the cake"! 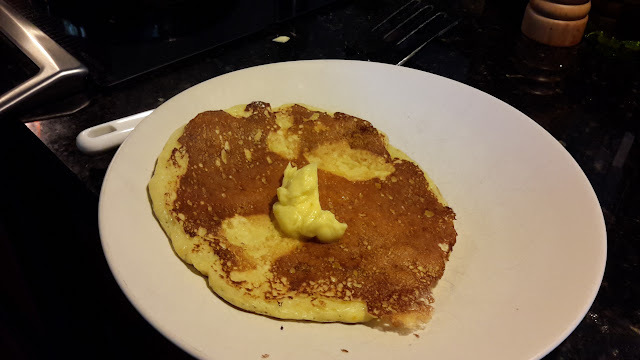 I do love a good pancake and this one was awesome. The orange flavoring was perfect, and the honey butter was amazing. I will have to make these again. They were so good, even the toddler who was on a hunger strike decided he wanted to eat one.